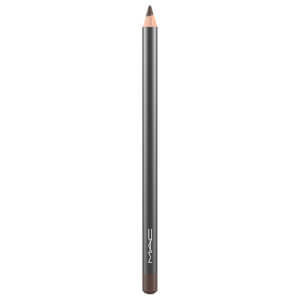 Line and define your eyes with MAC Eye Kohl Pencil Liner, a soft, creamy eye pencil that delivers a shock of rich colour with either a matt or pearl finish. 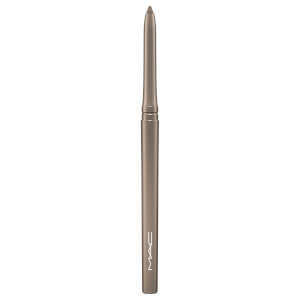 Long-wearing and comfortable, the liner glides effortlessly over the lids to define, shade and add depth; create precise lines or blend out to achieve a smokey, smudged finish. Delivering silky smooth colour, it is perfect for drawing thin to thick lines, or for applying all-over the lid like an eyeshadow. Doubles as an excellent eyeshadow base. Safe for use in waterline. Draw in desired shape on the lash line. To create a modern look, carefully smudge the line with a sponge tip applicator to achieve the desired effect. To reshape the lead, use the MAC Sharpener for best results. Hydrogenated Coco-Glycerides, Triethylhexanoin, Beeswax (Cera Alba), Ricinus Communis (Castor) Seed Oil, Dipentaerythrityl Hexahydroxystearate/Stearate/Rosinate, Copernicia Cerifera (Carnauba) Wax, Polymethyl Methacrylate, Ozokerite, Lecithin, Tocopherol, Ascorbyl Palmitate, Citric Acid. May Contain (+/-) Mica, Titanium Dioxide (CI 77891), Iron Oxides (CI 77491, CI 77492, CI 77499), Ferric Ferrocyanide (CI 77510), Carmine (CI 75470), Ultramarines (CI 77007), Manganese Violet (CI 77742), Chromium Hydroxide Green (CI 77289), Chromium Oxide Greens (CI 77288), Bismuth Oxychloride (CI 77163), Blue 1 Lake (CI 42090), Yellow 5 Lake (CI 19140), Aluminum Powder (CI 77000). 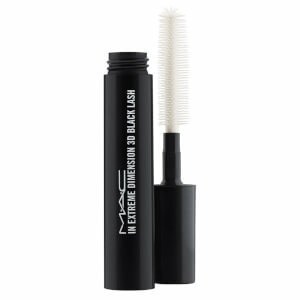 Receive a FREE MAC In Extreme Dimension 3D Black Lash when you spend £35, plus spend an additional £20 and receive a FREE MAC Strobe sample. Complimentary gift will be awarded at the basket. Offer valid for a limited time only, while stocks last. I had already bought one of these MAC eye liners. Was so happy with it that I bought another one in a different colour. Glides on very easily. I feel like there are many drugstore alternatives that could work just as well but the lasting power of this pencil is unmatched. I used to use the nyx one but that one would run halfway through the day whereas this one lasts all day and can be easily sharpened. 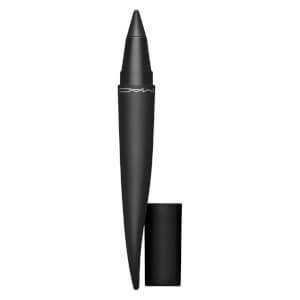 I’ve been a lover of MAC products for some time now but I think that the price compared to its other competitors is quite unreasonable but for a good eyeliner pencil, I’d be willing to pay.